Training for dental schools continues to evolve. Today, programs are doing lots of innovative things to make sure the dentists, dental hygienists and dental laboratory technicians of tomorrow are advancing the field and providing the best care to patients. 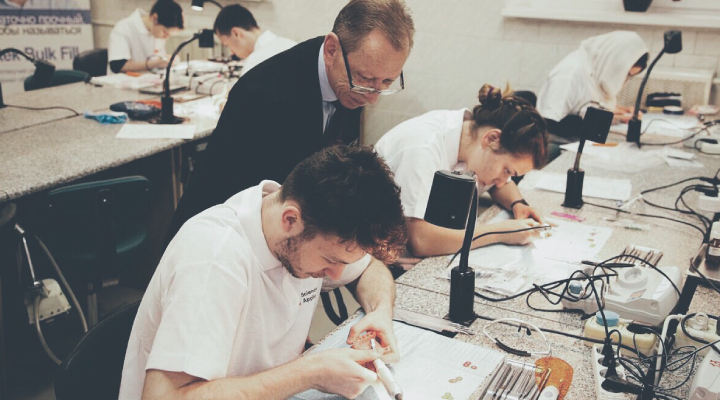 This top dental school in Europe has a strategy designed to integrate education with research, clinical approaches and patient care. And that includes providing patient care for more than 300,000 patients each year! This clinical experience complements the school’s teachings and ensures graduates have the skills they need to provide care. With the city of Hong Kong facing a drastic shortage of dentists, the University of Hong Kong increased undergraduate admissions 40% to suit the needs of a city where its graduates make up two-thirds of all dentists. In time, this response will help fill the void for oral healthcare practitioners. Midwestern University’s Arizona campus has taken a unique approach to clinical education. The school pairs third- and fourth-year students to work side by side. The students act as clinician and assistant and switch as needed. When students graduate, they are paired with new students and retain their same patient populations. This system helps the patients by ensuring continuity of care and gives students constant peer feedback. If you are interested in getting into the dental field, learn more about these and other programs.